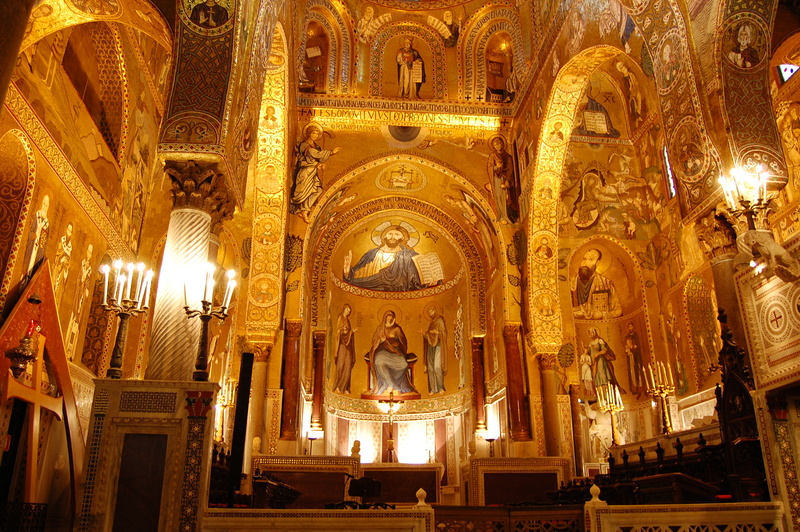 Visit to Cappella Palatina in Palermo, Sicily. This stunningly golden little chapel is in the same building in which they hold the regional parliament of Sicily, Palace of the Normans. 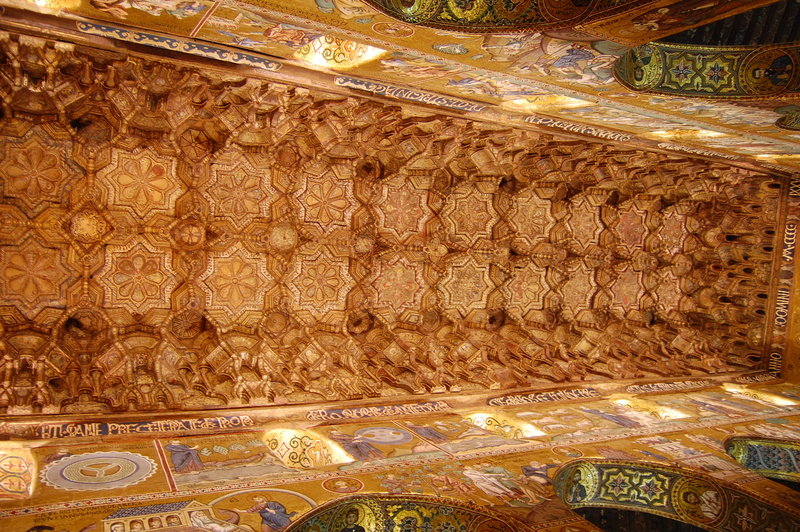 It is the royal chapel of the Norman kings of Sicily. Full of beautiful golden mosaic on the every wall and wooden ceiling is decorated with such detailed carvings that could even make you feel dizzy.